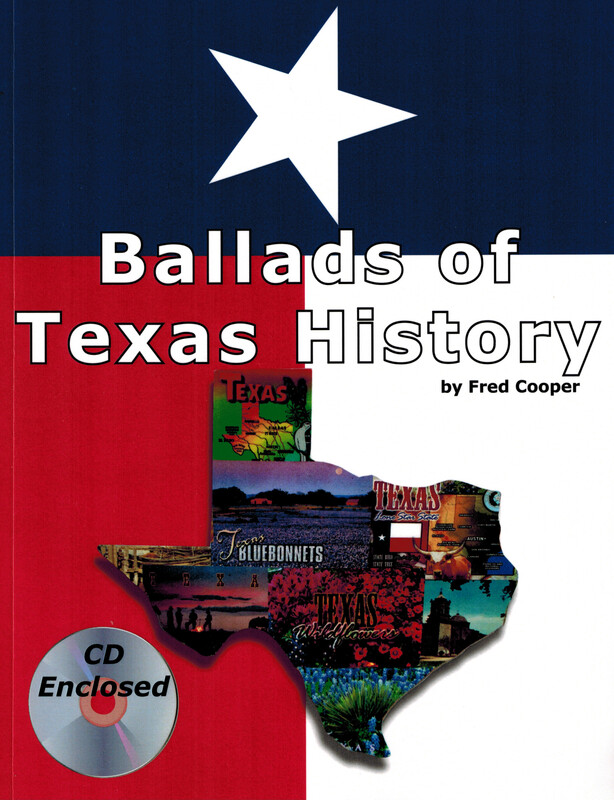 Ballads of Texas History is a fun and easy way to teach and learn Texas History. In this exciting book and compact disc, Fred Cooper has faithfully replicated the musical style of each historical period. The song lyrics capture the most important historical information. Each ballad is supported with a complete chapter of historical explanations and illustrations to bring the history of Texas to life. Children and adults will delight in this history curriculum set to music. Click to Hear Sample .